Divine intervention! Beyond the barriers of our reality? Outside the boundaries of human understanding? A universe of immensely powerful beings and advanced civilizations has evolved parallel to our own? But what links this strange plane of existence to ours, and what do its majestic inhabitants want with the child of Abram Adams - the denizen of Earth now called Divinity? 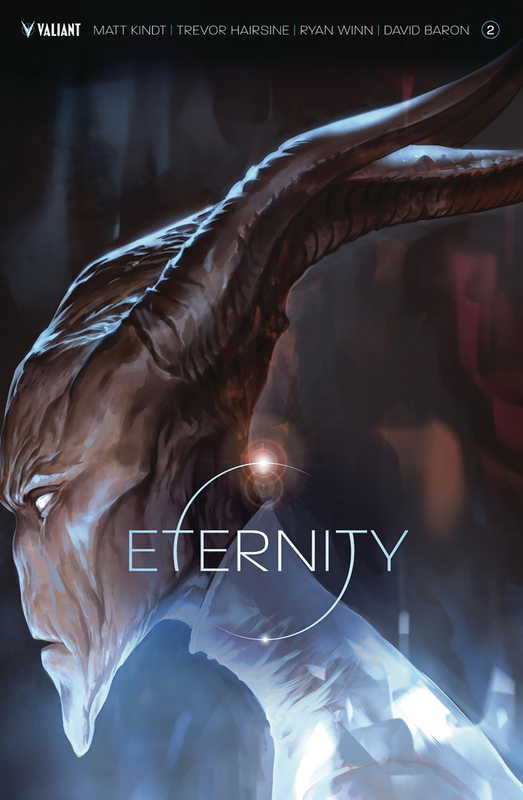 To find out, Abram and his comrade, Myshka, must enter Eternity's infinite realm?and encounter the Unknown itself! New York Times best-selling writer Matt Kindt (X-O MANOWAR) and blockbuster artist Trevor Hairsine (DIVINITY) push the year's most visionary series light years ahead?and open up a new frontier in Valiant's acclaimed sci-fi meta-epic!